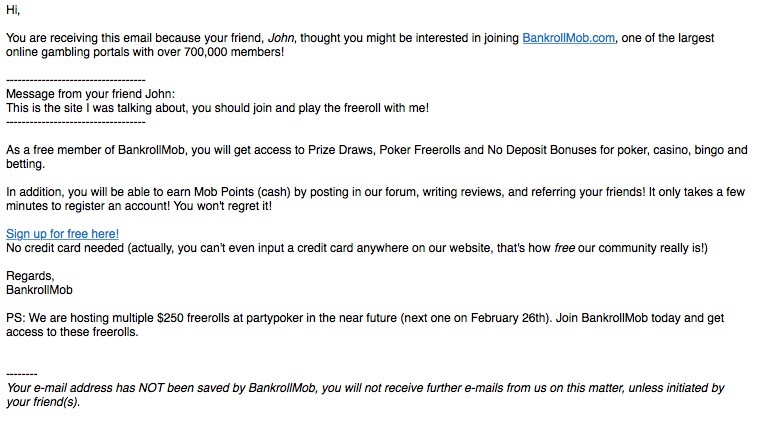 Just invite a few of your friends to BankrollMob, and you will instantly get the password! Fill in your friends' e-mail addresses below and click "Send". A short e-mail (preview here) will be sent on your behalf, telling them a bit about BankrollMob and inviting them to join the freerolls. The freerolls plays at usually 19:00 CET on certain Mondays. The next one is March 26th. Click here for more freeroll info. 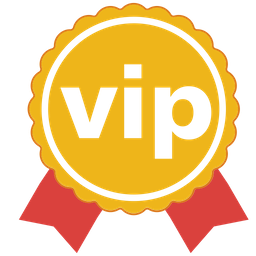 Data policy: Information entered here will be stored temporarily for logging purpose, but will never be used for any promotional purpose other than this specific freeroll. Only one e-mail will be sent when you click 'Send Message(s)', we do not send any follow-up emails.